The Sources of One Piece. It Seems. Ever feel like you've seen One Piece characters somewhere else before? It's not just you who thinks that. 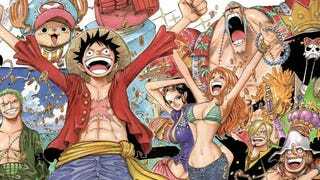 In the past, Kotaku has profiled the ways that One Piece creator Eiichiro Oda allegedly borrowed from other cartoons. There was also that image showing the famous people that appear to have inspired numerous One Piece characters. Via One Piece fan site Logpiece, here's an even more detailed look at those alleged character sources. It's from a few years back, but still fascinating and exhaustive. This might be the most comprehensive source image I've seen. Click the upper corner to expand to full size. Even though the image is in Japanese, most of the photo connections, which show good sleuthing and logical conjecture, should be self-explanatory. It's not necessarily bad that Oda wears his inspirations on his sleeve. One Piece isn't created in a vacuum, and these influences allow a new layer of understanding and insight in how he works.